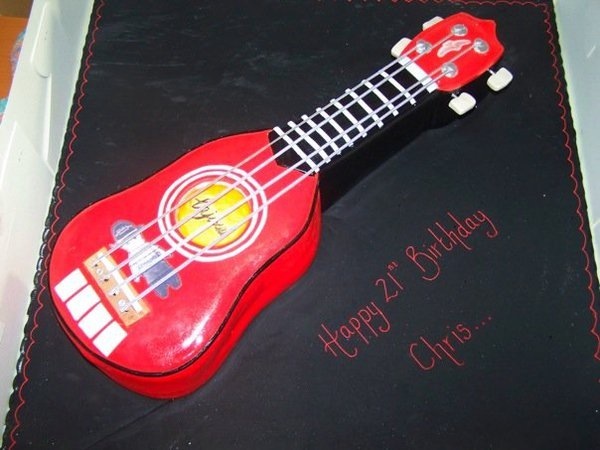 Further to the post made by Chris on my post about the new Fluke Ukulele, I was intrigued by a ukulele cake. He came to the rescue - and I give you - Ukulele cake! Sweet! Once when I was a kid i got a guitar cake, i remember how awesome it was.